I had so many responses on my post about giving away a copy of the 2012 CHILDREN’S WRITER’S AND ILLUSTRATOR’S MARKET edited by Chuck Sambuchino (I know only one of you won it…the rest should go out and buy it immediately, read it, love it, then leave glowing Amazon and Goodreads reviews), that I wanted to give away another craft book on the blog that I’ve recently read and really enjoyed. Clearly, you guys are craving some craft books! This one is WRITING AND SELLING THE YA NOVEL by novelist K.L. Going, out from Writer’s Digest Books, but it’s also great for writers of middle grade. One of my favorite small things in this book is a list of fantastic considerations when writing historical — it’s a checklist of all those small things you don’t necessarily think about immediately when world-building. She also does a great job of putting you in the head of teen readers and including feedback from real teens on the books they like, the characters they bond with, etc. It’s a great resource by a very talented fiction writer. It’s the usual drill for book giveaways. Leave a comment on this entry to win. No international shipping, so if you live outside the US, enlist a buddy who can receive the book on your behalf. Don’t worry about an email address, just enter it in the comment field that asks for it and know that it will be for my eyes only…it won’t be published on the site. Deadline for entries is October 5th at midnight, Eastern time. I’ll announce a winner on October 6th! What I love about this craft book is that the cover inspires you to read it (as opposed to the cut-and-dry graphics you often see) and also encompasses all the fun stuff that goes into writing and reading YA. K.L. Going is a great author and I’d love to read this book! This is a very generous offer, Mary. Thanks for throwing it out there for us. Sounds like it would definitely be worth a read or three. Thanks for the opportunity, and I hope you enjoy the rest of the week! Sounds like a great resource. Thanks for hosting the giveaway. I would love to win this (I’m all about craft books!). Thanks for the chance! Always love some more information. Thanks for hosting this! Oooh! I’d love to win this – sounds very helpful! Thanks so much for running this giveaway! Sounds like another great tool to have! Thanks for wanting to share! Sounds like a great read… thanks for the giveaway! Sounds like a good book! Thanks for doing this Mary! Any book on craft you enjoyed, Mary, is sure to be good! Thanks for the contest! Looks like a great book. I love giveaways… so I’m putting my name down. Love the blog, Mary! October 6 is my birthday (38 years young). Hopefully it’s a lucky day. Thanks for the giveaway, Mary. Please enter my name. A craft book by the author of Fat Kid Rules the World? Yes, please! 🙂 Thanks for the giveaway. Sounds like a great read. Thanks so much for doing this! Count me in. The book sounds great! Never heard of this one. Thanks for sharing! Thanks again for your generosity, Mary! You had me at ‘world building!’ I’d love a check list for that! I would love to read this book. What a great resource for YA and MG writers! Thanks for the giveaway. I have always wanted to write a book. I’d love to read this book! It’s always good to have as many tools in your toolbox as possible, right? Speaking of, I signed up for the YA webinar you did last month even though I wasn’t available during that time – I was supposed to be able to access it a week later. Writer’s Digest still hasn’t provided me the info on that, and I now missed the critique deadline. Boo. Anyway, I look forward to watching it whenever they get back to me. I’m sure it’s loaded with great info! Thanks for your generosity. I’d love to own a copy of this book! Hubs and I are both in the process of writing books — his could be MG or YA, mine could be MG, YA, or adult (I’m just getting started, sorry.) We’d love to read this! It sounds like this book talks about many things that I’m working on now. Thanks for suggesting it and for doing this contest. Ooo. Thanks for hosting the contest. I’d love to win. Sounds really handy. I love the Writer’s Digest Books. I’m currently working on my 3rd draft of a YA novel and can use all the help I can get. Thanks for giving me a chance to win a copy of this book! Thanks for the giveaway, Mary. This book would be a great addition to my library. This book sounds like a must read! I know that it would leave me with tons to think about and I would love to read the feedback from real teens. Thanks for the contest, Mary. 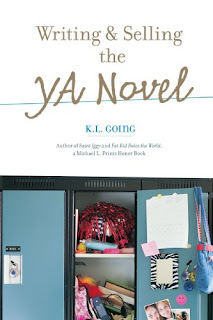 I would love to own a copy of WRITING AND SELLING THE YA NOVEL by novelist K.L. Going. Fingers crossed! Would love this. Thanks for the giveaway! Thanks for hosting the contest! Sounds like a great book. Thank you for the chance to win such a great resource. Sounds like a great book on craft! Thank you! I love the cover of this. It just screams YA. Thanks for the giveaway. I’d love the chance to win this! Thank you for this giveaway and of course the others. I’m excited about this book because I love YA. I would LOVE a copy of this! Working hard, writing hard. Ohhh excited! I could really use this! You are awesome with all these giveaways! Someday I’m going to write something you want to represent, I swear. It’s fast becoming my life goal…. Enter me, please! Thanks for doing this. Definitely want to be part of this. Please and thank you! I love KL Going’s fiction – thanks for the chance to win. Thank you so much Mary for giving your readers a chance to win this awesome book. Looks so useful! Thank you for doing this! I would love a copy, the book seems filled with a ton of great info. This sounds like a great book. If I don’t win it, I will be buying it! Mary, It’s great to get some up to date craft reference recommendations from a current “publishing insider”. Lately it seems like stores think all teens want to read is vampire related. Would be interesting to get this writer’s insight into the YA audience – even if I’m not lucky enough to win. Thanks again! Yeah for another contest!! Enter Me In!! Huzzah! This sounds very useful. I would love a copy. Thanks for the opportunity! Sounds like a great resource. I will definitely check it out. Thanks! Thank you for having such a fab contest and an even more amazing website. Thanks, Mary! I’d love to read this book!! Thanks for this awesome giveaway Mary, the book looks great. Ooh! I’m working on a historical right now in my off hours – thanks for the chance at this, and the recommendation. 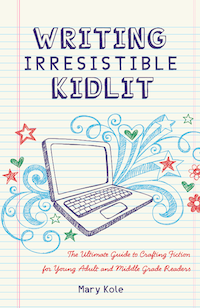 I love kidlit.com, and the YA book you’re giving away sounds exactly like the book I need. Thanks so much for offering it. Sounds like a great book! Enter me, please. And I did go out and buy my own copy of Chuck’s market book. 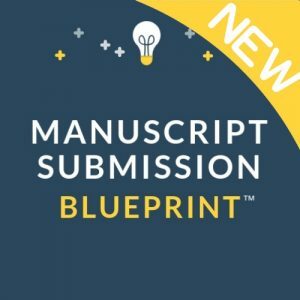 Love all the books you put on this site; great for YA writers at all stages of writing and selling. I live in canada, but I will find a way to get this book! My sis has a us address. My first YA novel is being released Jan 2012. I’m sold — looking forward to reading this book whether I win or buy. I’ve heard such wonderful things about this book. I’d love to read it. I love your website! Thanks so much for the opportunity to win this book! LOL, a free book=writers cracking open their closet doors! Saint Iggy is one of my favorites. Thanks for the chance to win this craft book by K.L. Going. Thanks for running this contest! I hope I win so I can use the info in the book to help me revise my novel! Thanks for another giveaway, Mary! This book looks amazing. Thanks for the contest! Hi! My first time commenting at your blog. I’ve only been reading your offerings for a couple of weeks. I’m loving your succinct lessons in craft. Thanks. I would love to win this book! Thanks for this great giveaway. These giveaways are great. Thanks! Wow, would love to win! Thanks for another awesome giveaway! Most definitely interested in this one! Sounds like a really good resource! Thank you for offering another contest! Sounds like a great resource ~ please enter me! Ooh, me please. Just finished reading Fat Kid Rules the World!